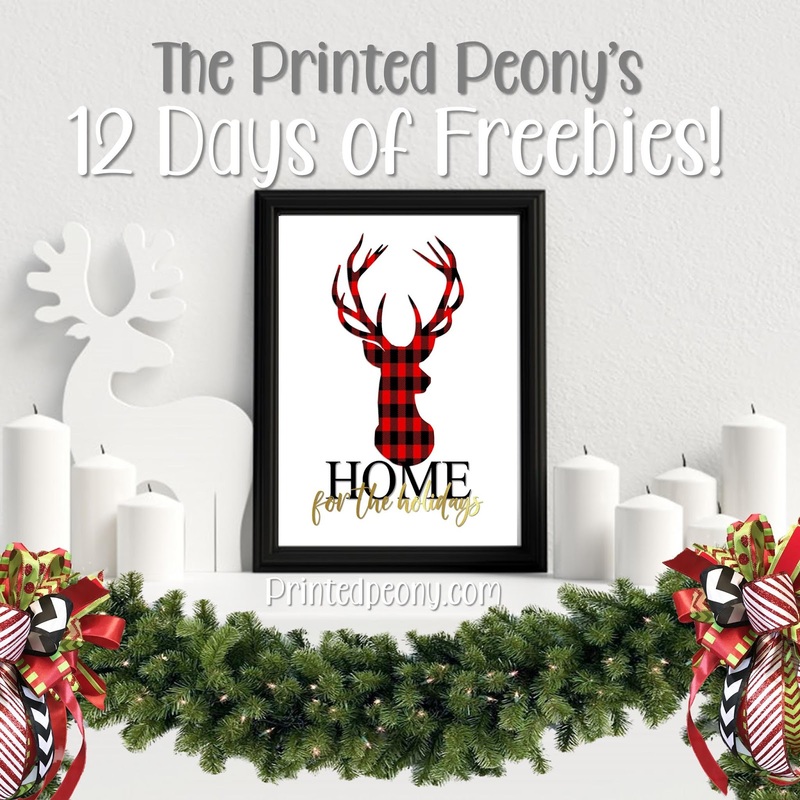 We continue the reindeer theme with today's 12 Days of Freebies Printable. 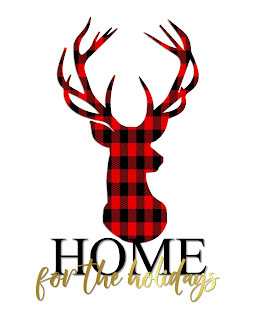 This one for our Buffalo Plaid fans. Our Home For the Holidays Buffalo Plaid Deer Print features a majestic deer silhouette in Buffalo Plaid texture and Black and gold typography. This is a 16x20" High Resolution jpg. You can print it as a full size 16x20" image or an 8x10" or 4x5" image. If you would like to put your print in an 11x14" frame with a mat you should print as an 8x10" image.